This enormous lake is a great place to see a variety of ducks in winter. 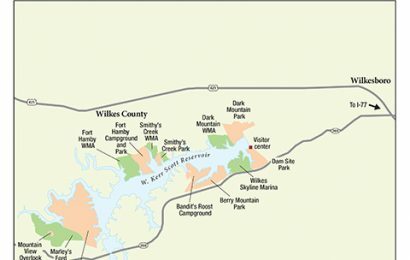 This park, along the Blue Ridge Parkway, is a good spot to find breeding warblers, as well as raptors, ravens, and owls. 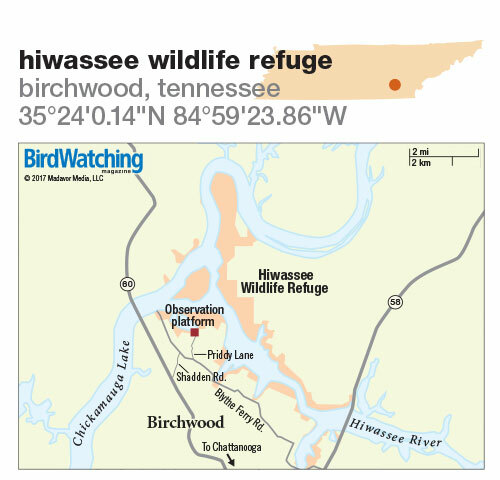 A large refuge north of Chattanooga where thousands of Sandhill Cranes winter. 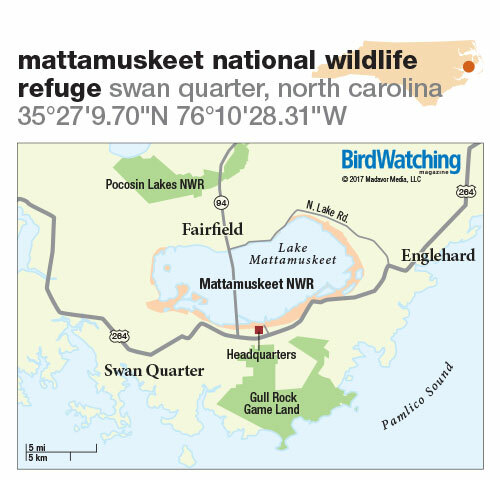 Also look for migrant shorebirds, waterfowl, and songbirds. 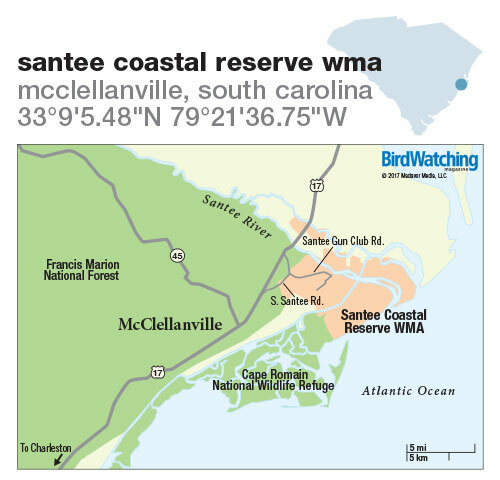 More than 20,000 acres northeast of Charleston where you can see Wood Stork, Prothonotary Warbler, Red-cockaded Woodpecker, and Bachman’s Sparrow. 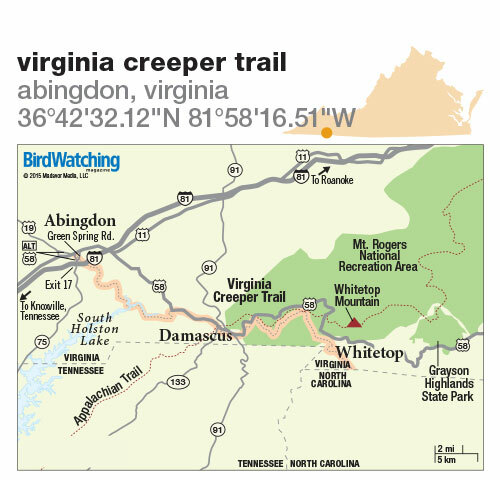 This 33-mile-long rails-to-trails project in southwestern Virginia passes through meadows, riparian areas, and forests, offering views of a wide variety of birds.